One of our customers from a prominent subdivision in Taguig city gave his son a new bedroom interior as a graduation present. 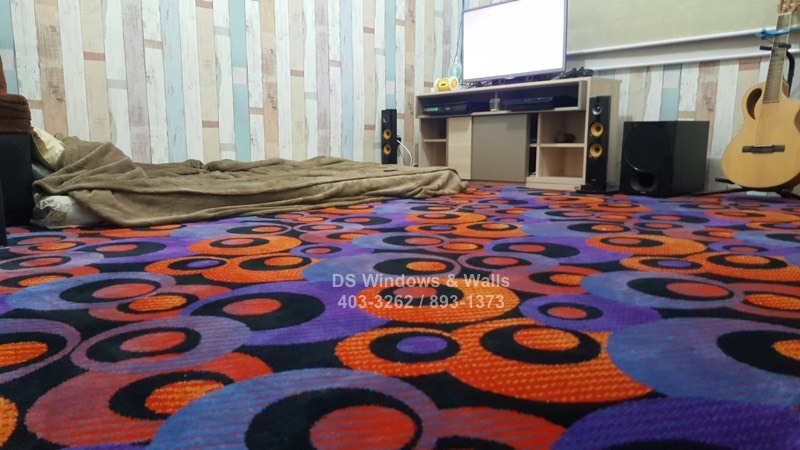 From a childish bedroom design they wanted to create a fun new look that will match a young teenager style by using a beautiful, new wallpaper covering and a colorful and fluffy carpeted flooring. Our company personally provide and installs attractive and luxurious carpet flooring that you and your family will surely adore. The softness and comforting feel provided by the carpet gives the room a more welcoming and relaxing touch. 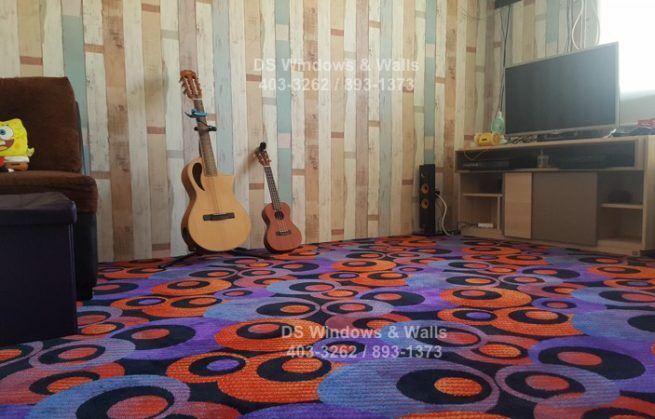 The colorful combination and the playful round pattern of the carpet design also give a lively atmosphere in the room that also match the soft and fun color tone of the wallpaper that balance well with one another. Interior design presents can always leave a good impression to the person who receives it and a good example of a memorable present to our love ones. If you have a person in mind that you want to give a present to, you can use this as a reference. Some examples are giving window blinds and shades to newly wed couple or brand new wallpaper design for newborn babies. You can always mix and match the interior products base on your budget since products like carpets and wallpapers has a wide range of price depending on the quality and design. 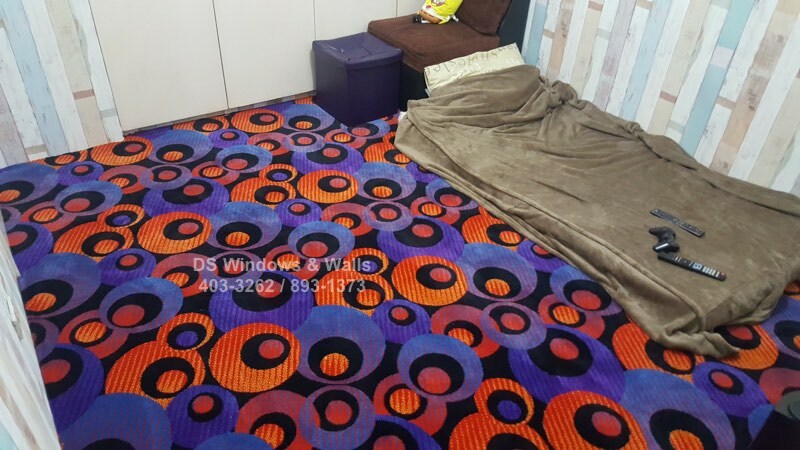 For more information about our carpets and wallpapers please call us at (02) 893-1373 / (02) 403-3262 / (02) 668-9668 / 0916-311-3909 or visit our showroom at 2nd level Pacific Mall Lucena City, 3rd level Robinsons Metro East, Pasig City and 4th level Waltermart, Makati City.